Manitoba Quality Network - Cancellation - QNET is a network of individuals and groups focused on the pursuit of organizational excellence and continuous improvement. Replacement participants are accepted at anytime. 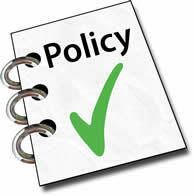 The specific cancellation policy for each event is noted in the Terms and Conditions on the REGISTER page. You must select a specific event in order to see its cancellation policy. Invoices will be sent for non-attendance. If you have any questions, contact us at 204.949.4999 or by email.